2010 Marbella Town Plan Null and Void: return to the 1986 Town Plan. 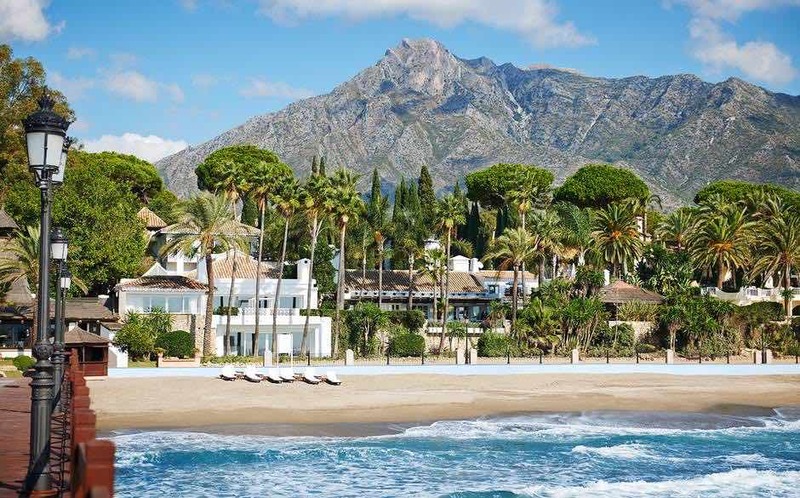 The Supreme Court recently struck down Marbella’s latest town plan, leaving Spain’s flagship resort town depending on an out-of-date plan from 1986. Rafael Berdaguer, founding partner of Rafael Berdaguer Abogados in Marbella, explains the situation for readers of SPI. Marbella’s Town Planning has gone through an unsettled period in the last three decades. In 1986 a Town Plan was approved where low density planning and high quality Marbella residential developments were the predominant elements. In 1992 a new Town Plan was started by the Marbella Council then in the hands of the GIL party which was never finally approved. A totally different approach was taken where high density and uncontrolled growth in the developments were the rule. In most cases building licences were given out of the statutory procedure and as result of corruption which ended up in the so called Malaya Case where a big number of persons have been recently criminally condemned. The Marbella Council was dissolved by an unprecedented decision from the Spanish Parliament and an interim Committee was appointed to govern the town. The Junta de Andalucía took over planning matters and chose a Technical team to draw up a new Town Plan which was later on backed by the former Council then democratically elected where the Popular Party had the majority. This process ended up with the approval of the 2010 Town Plan. One of the main features of the plan was the so called regularisation process of former illegal buildings through the compensations by the payment of planning charges in most cases by the bona fide purchasers of the properties and not by the developers who had benefitted from the irregularities. A big number of appeals were lodged against the 2010 Town Plan which was initially backed by the Andalusian Court of Justice (TSJA) in Málaga but which ultimately was made null and void by the Supreme Court in judgements issued in October, 2015. Why has the Supreme Court (SC) made null and void the 2010 Town Plan? The SC considers that the legalisation of properties whose building licences have been made null and void by the Courts with firm legal judgements is not possible through the TP. The SC states that the possibility of these judgements not being executed must be pursued through the Courts where these licences were declared null and void. So the Courts will decide, case-by-case, on the merits of such an application. To be clear, the normal outcome of a judgement declaring a licence null and void is that the building erected under same must be pulled down. However the law foresees the possibility of non execution of the judgement taking into consideration exceptional circumstances. These will have to be shown to the Court case by case to avoid the fatal consequence of the building been pulled down. The SC also states that the normalisation process cannot be the main aim of the Town Plan. The Town Plan must look into the future and not to the past to remedy irregularities as the 2010 has made. The SC declares that the zoning of Non Consolidated Urban Land of Land which in fact is fully consolidated Urban Land as it has all the necessary infrastructure, with the sole purpose of putting planning charges to the owners as a remedy to the buildings erected with licences made null and void is not correct. In addition to this, the SC considers that to put charges to the developers which have already sold the properties to third parties, the so called bona fide purchasers, is not possible as the planning charges can only be linked to the ownership of the land and in most cases the developers have no longer ownership connection with the properties affected by the charges. The SC also states that the planning charges as a fine imposed to remedy past irregularities is not within the competences of the planning power. Finally, the SC declares that the lack of space for public facilities is not clearly identified in the Town Plan as to the proportion of new land zoned for this purpose to try restablish the balance between new developments and public facilities. The consequence of the 2010 Town Plan made null and void is that the 1986 Town Plan (TP) becomes into force again. But what happens with the approximately 18.000 dwellings illegally built under the irregular period where the GIL was governing the Marbella Council which are in contradiction with the provisions of the 1986 TP again into force? These dwellings have been authorised by approximately 1000 building licences. Out of which three hundred have been challenged and declared null and void by the Courts. The remaining seven hundred licences have not been challenged. And what happens with the buildings erected or under constructions and the planning processes initiated under the 2010 TP which are against the provisions of the 1986 TP? Buildings with a licence declared null and void by a Court. In this instance, the Court will have the decision as to what is the future of the illegal building. There may be the possibility that the Court may decide on exceptional circumstances the non execution of the judgement, therefore the buildings not being pulled down. If in the Future Town Plan, these properties have all planning legal duties fulfilled and can be integrated in the town model to be assumed by this, there will be room for the future legalisation of same. Buildings erected on green belts or public facility sites. In accordance with the LOUA there is no statute of limitation for the authorities to reinstate the planning legal order in these sites, therefore they can at any time demand that the building is pulled down. Buildings erected with licences against the 1986 TP which have not been challenged and for which the statute of limitation to reinstate the planning legal order is over. The buildings cannot be pulled down and they can be considered in legal situation of out of planning. There will be a group of buildings in the process of being built with licences legally granted under the 2010 TP, now made null and void, planning processes initiated and being executed under the provisions of the 2010 TP and buildings which have paid the compensations for the charges for the property to be legalised under the 2010 TP, all of which will have to be given a specific regime under the instrument of Adaptation of the 1986 TP to the LOUA. 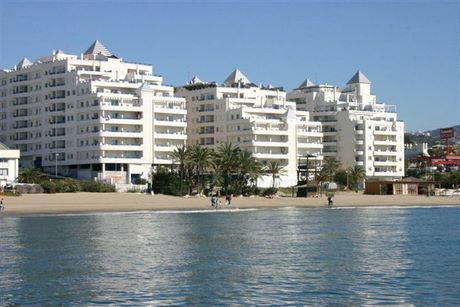 The decision taken by the Supreme Court to make the 2010 TP null and void although hard to be assumed by the population of Marbella which was seeing some light after two decades of uncertainty, has brought to an end the regularisation of illegal properties through the payment of the compensations. In the five years that the 2010 TP has been in force, this system has proved absolutely inefficient. Therefore, there is an opportunity for the population of Marbella to decide which model of town they want. One has to take into consideration that the TP will comprise a global conception of the town taking into consideration the social, cultural, productive, enviroment and other aspects. Town planners will have to follow the observations made by the Supreme Court in the judgements making null and void the 2010 TP, to avoid problems in the future. This model of town can legalise all of these properties built with building licenses in contradiction with the 1986 TP which have not been challenged in the Courts. However, those buildings whose licences have been declared null and void by a firm Court judgement will have to count with the declaration by the Court that the judgement cannot be executed and all planning duties fulfilled before they can be incorporated to the Future Town Plan as legal buildings. The New Town Plan is foreseen to be finally approved within five years and hopefully will put an end to the nightmare people affected have had to go through in the last three decades. Rafael Berdaguer Abogados based in Marbella, Spain. Rafael Berdaguer is the founding partner of Rafael Berdaguer Abogados, an experienced team of multilingual lawyers based in Marbella (Andalucia, Costa del Sol). They offer a full range of legal services in English and other languages, covering subjects such as conveyancing, property law, tax advice, divorce proceedings, wills and estates.